PROVO, Utah (April 12, 2016) – Peak Capital Partners, a Utah-based apartment investment and management company, today announced it recently acquired Aden Park Townhomes, a 126-unit apartment community in Virginia Beach, Va. The community was redeveloped with the Low Income Housing Tax Credit (LIHTC) federal housing program, making rent affordable to lower-income households. The property offers spacious one-, two- and three-bedroom apartments and townhomes. 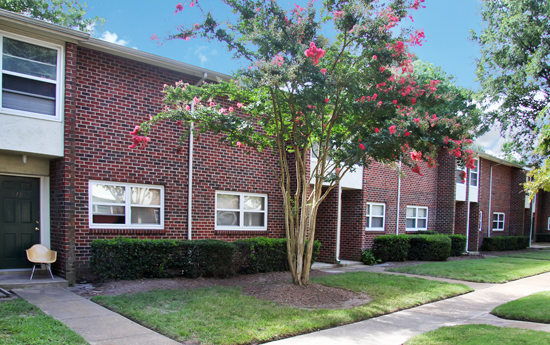 Each unit features central air conditioning, spacious closets and well-equipped kitchens. A children’s playground is on site. Aden Park is just 18 minutes from downtown Virginia Beach, 15 minutes from Norfolk, and 20 minutes from Chesapeake. Virginia Beach is home to more than 1.7 million people and ranks as the 37th largest metropolitan area in the United States. The city is characterized by a diverse economy with many national and foreign businesses. The area boasts 38 miles of beaches and almost 80 miles of scenic waterways. Peak Capital Partners and its affiliates own and manage conventional, affordable, and student apartment communities in growth markets in the United States. Founded in 2007, the firm owns 100 apartment communities in 15 states housing 17,500 families. Visit www.peakcapitalpartners.com.